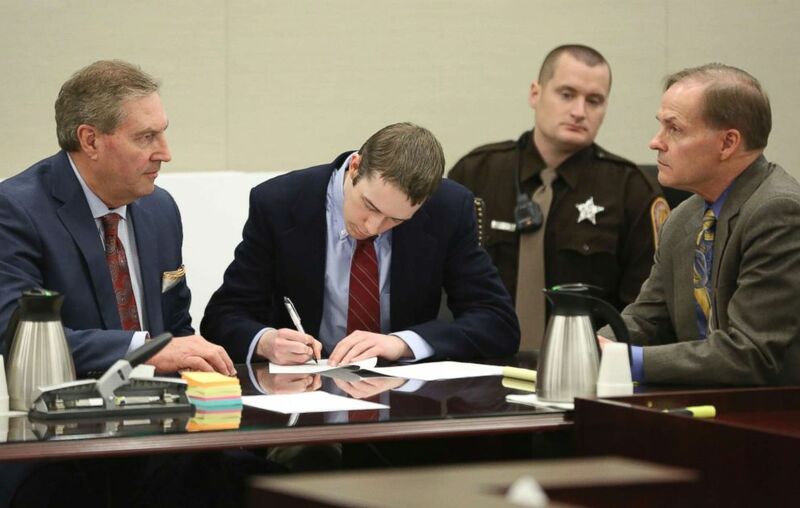 A former Virginia Tech University student pleaded no contest this morning to charges of killing a 13-year-old girl he met on a messaging app. 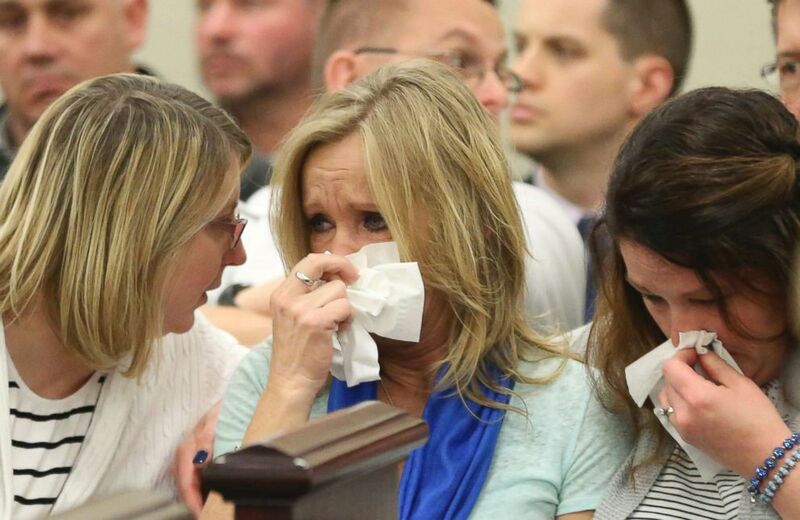 Tammy Weeks, center, mother of victim Nicole Lovell, reacts to the no contest plea of David Eisenhauer during a hearing in Montgomery County Circuit Court in Christiansburg, Va., Feb. 9 2018. Following Eisenhauer's plea, the victim's mother, Tammy Weeks, spoke at a news conference, saying, "I was blessed to be her mother" and added that Nicole "will always rest in our hearts, and no amount of time will ever change that." David Eisenhauer, center, signs a no contest plea next to his defense attorney Tony Anderson, left, during a hearing in Montgomery County Circuit Court in Christiansburg, Va., Feb. 9 2018. Her naked body was later found dumped in a rural area of Surry County, North Carolina, near the Virginia border and about four miles from the home of Eisenhauer's grandparents.